Green T Pest control provides professional pest control services to homes and businesses in Aurora, Naperville and the suburban Chicago area. No pest control job is too big or too small! Green T stands by our promise to eliminate your pest problem – Guaranteed! We always take into consideration the safety of your family and pets while working to eradicate any pest. A full perimeter application of insect repellent around the base of your home or business, three feet up and three feet out, which provides a quality barrier to prevent insect access. Specific injections into all pipe entry points to prevent insects from nesting. 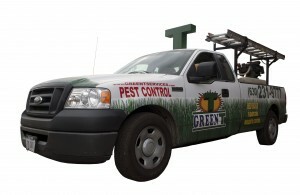 Green T Pest Control provides year-round comprehensive protection from all pests. We will come out for an emergency, one-time visit or we can help protect your home or business with our year-round scheduled program. Our year round pest control applications will work to eliminate existing pests and prevent any new pests from gaining access to your property. Our technicians will assess your property and determine whether there are any cracks, holes or gaps that may be allowing the pests gain entry. Green T will give you a detailed review of these areas along with custom recommendations and solutions for your property. Call (630)-231-9997 or request a quote today to schedule a free pest control estimate and let Green T provide you and your home with an effective barrier against unwanted pests. There is nothing more sacred to you than your home and the family it encompasses. So we understand the need to protect it from any dangerous and unwanted pests. Green T is proud to offer residential pest control solutions that will eliminate and deter any and all pests from your home. Read more about our residential pest control services. A pest issue can wreak havoc on any business. Whether you’re in the food service, education, or storage industries, having a clean, pest-free facility will keep your business running smooth. There are many ways pests can infiltrate a business. Even though your office may be clean, pests can still find there way in through packing materials, foot traffic, vents or even through a minor unnoticed crack. Green T’s experienced commercial pest control staff knows how to eliminate these pests and keep them away from you business! Read more about our commercial pest control services. Green T offers a variety of solutions for any commercial or residential pest control issues you may have. Depending on your needs, we have a regular monthly, quarterly or annual program. Knowing your property is protected by the best pest control company around will give you peace of mind. Our business is to keep you in business. Call or request a free commercial or residential pest control estimate today, and see the Green T difference for yourself.